About - Arkansas Pest Control at a Better Price. Bed Bug Treatments Guaranteed. With Hometown Pest Control, you are guaranteed affordable pest control, convenience, and peace of mind. ​We understand that certain infestations can be an emotional experience. Rest assured, we are here to restore your home or business to it's comfortable state. Minimization of the risk of pesticides in the home while still achieving the desired results expected by each customer is our top priority. Knowing the risks of misapplied chemicals, we guarantee that extreme care will be implemented when any type of treatment is done. Your home, family, and pets are precious to you. As a close-knit family business, Hometown Pest Control understands that. ​We will never treat you like “just a number”. 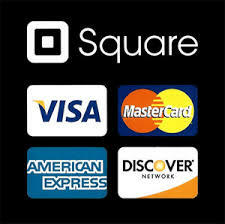 We accept cash, checks, Visa, MasterCard, American Express, and Discover cards.